Your Apple Watch makes it easy to triage unwanted notifications as soon as they hit your wrist. Starting with watchOS 5, you can elect to have notifications from a specific app delivered quietly. With quiet delivery, the notification goes straight to your Notification Center on Apple Watch and its associated iPhone, without showing up on the watch display or making a sound. This is a great way to stop those annoying or unwanted alerts without needing to fiddle with your notification settings in the companion Watch app on iPhone. To triage your notifications on the fly, use the Instant Tuning feature. 1) First, swipe left over a notification or notification group as soon as it arrives on your wrist, or press firmly with Force Touch, then tap the three-dotted Manage icon. 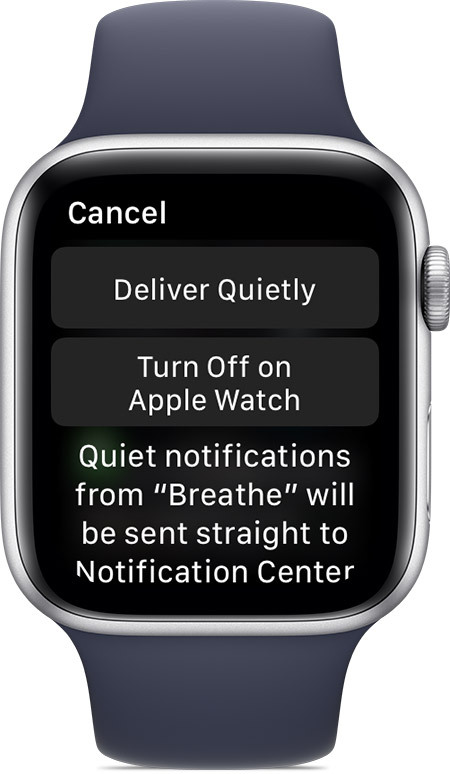 Deliver Quietly: Notifications are sent directly to Notification Center on both the watch and the phone without making a sound or displaying any alerts. Turn Off on Apple Watch: Stop the app from sending any notifications. Choosing Delivery Quietly ensures you won’t get inundated with pesky notifications from that app going forward but can still check them out via Notification Center. In other words, this toggle prevents an app’s notifications from buzzing your wrist or lighting up the display. 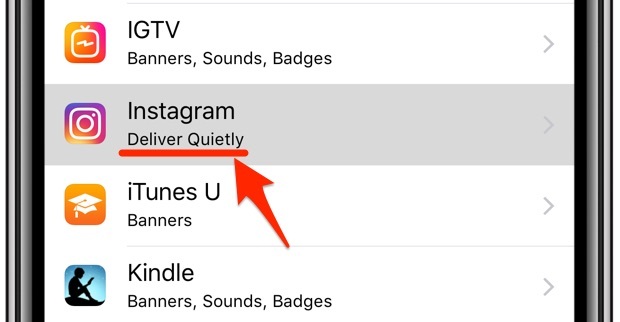 If you don’t want to hear sounds or haptic alerts for that app, tap Deliver Quietly. Notifications for that app go directly to Notification Center on both your Apple Watch and iPhone, instead of showing you a notification with a sound or haptic alert. Deliver Quietly does just that on both your watch and phone unless this is a stock app that supports direct delivery to Notification Center, in which case its notification settings can be adjusted on each device independently (more on that later). If you’d like to triage alerts from within Notification Center, you can do that too. 1) Bring up the Notification Center overlay by swiping down from the top of your watch face. If you’re currently using an app, you don’t need to get back to the watch face to access Notification Center: tap and hold the display top, wait for the Notification Center handle to show, then swipe down. 2) Swipe left on a notification or group of notifications, then hit the three-dotted Manage icon. 3) To stop sound or haptic alerts, tap Deliver Quietly. 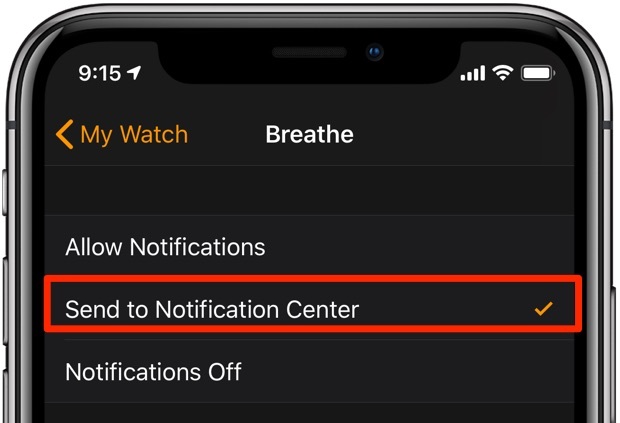 All alerts from that app will be routed to Notification Center on both your Apple Watch and iPhone, instead of showing a wrist notification with a sound or haptic alert (alerts for stock apps can be adjusted separately on the phone and the watch, but more on that later). Would you like to keep seeing app notifications on your iPhone but not on the watch? No problem, choosing the option Turn Off on Apple Watch will do the trick. For certain stock apps, you can customize how they display notifications and elect to have their alerts delivered straight to the Notification Center on your wrist. 1) Open the companion Watch app on your paired iPhone. 2) Tap the My Watch tab. 3) Choose Notifications from the list. Allow Notifications: The app displays notifications in Notification Center and the watch alerts you. 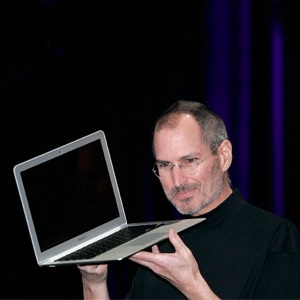 Send to Notification Center: Notifications are sent directly to Notification Center without the watch making a sound or displaying the notification. This is literally the same as selecting Quiet Delivery via Instant Tuning. But wait, how do you revert to prominent notification delivery? 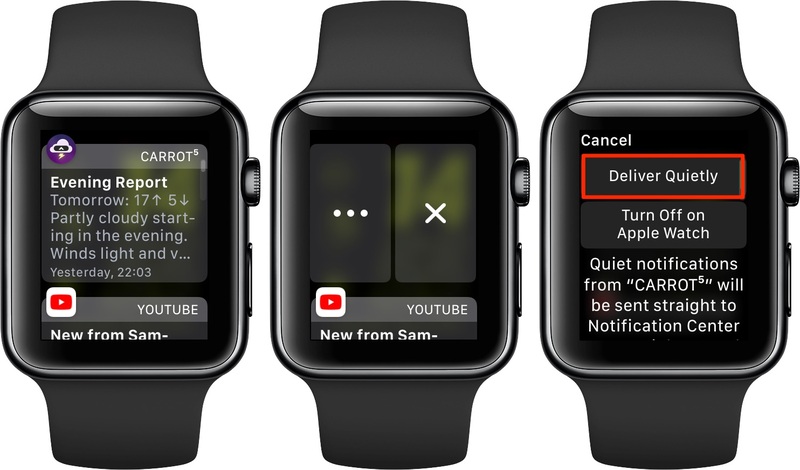 As mentioned, the Deliver Quietly feature silences notifications from an app or grouped notifications on both your phone and watch. 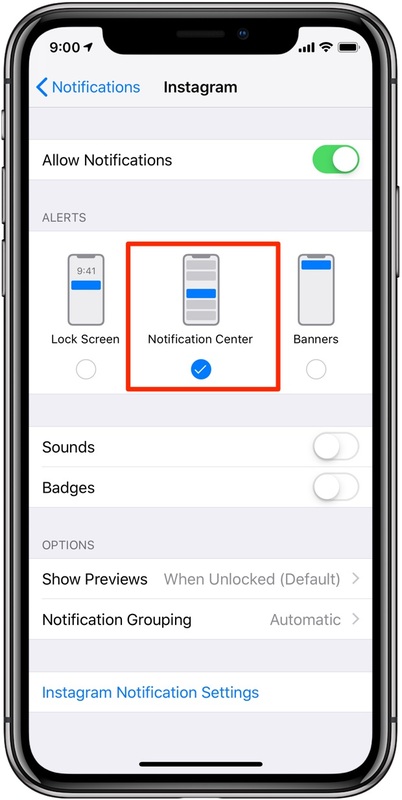 To see and hear silenced alerts again, access the Notification Center overlay on Apple Watch, swipe left on a notification or press it with Force Touch, then hit the triple-dotted menu and choose the option that Deliver Prominently. Keep in mind you can also do this on the fly when the notification arrives, thanks to the Instant Tuning option, which is way easier. You’ve deleted the alert and now it’s nowhere to be found in Notification Center? No problem, just re-enable the app listed underneath the Mirror iPhone Alerts From heading in My Watch → Notifications inside the companion Watch app on iPhone. If this is a stock app that supports quiet delivery, choose it from the list under My Watch → Notifications in the companion Watch app, then choose the option Allow Notifications. By the way, the watch defaults to mirroring iPhone alerts. To have the watch and the phone use their own notification settings, choose the option Custom instead of Mirror My iPhone in your notification settings in the companion Watch app. Here’s what the toggle setup for Deliver Quietly looks like. It’s also delisted from My Watch → Notifications underneath the heading Mirror iPhone Alerts From in the Watch app. 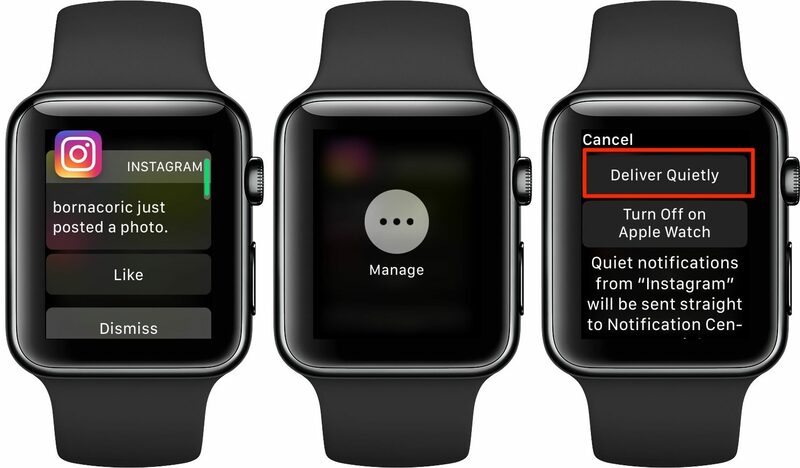 For stock apps, Deliver Quietly enables Send to Notification Center in My Watch → Notifications → [App Name] in the Watch app without affecting their notification settings on iPhone. Enables these switches in Settings → Notifications → [App Name] on iPhone. Here’s how Deliver Prominently adjusts the iPhone alert settings. Furthermore, the app is automatically re-added to My Watch → Notifications underneath the heading Mirror iPhone Alerts From in the Watch app. 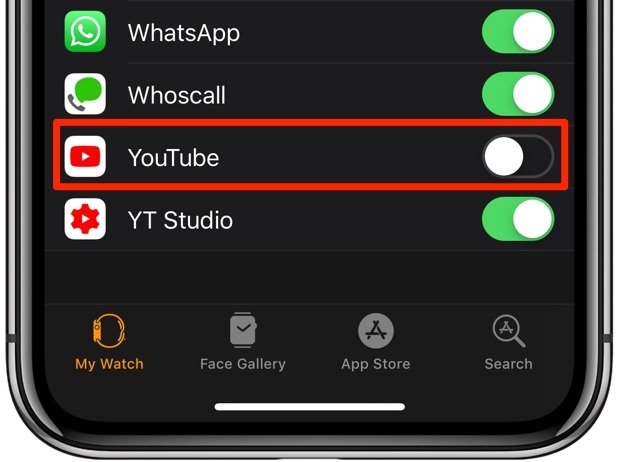 For stock apps, choosing this enables Allow Notifications in My Watch → Notifications → [App Name] in the Watch app without affecting their alert settings on iPhone. Disables My Watch → Notifications → [App Name] underneath the heading Mirror iPhone Alerts From in the Watch app, as evidenced by the screenshot embedded right below. 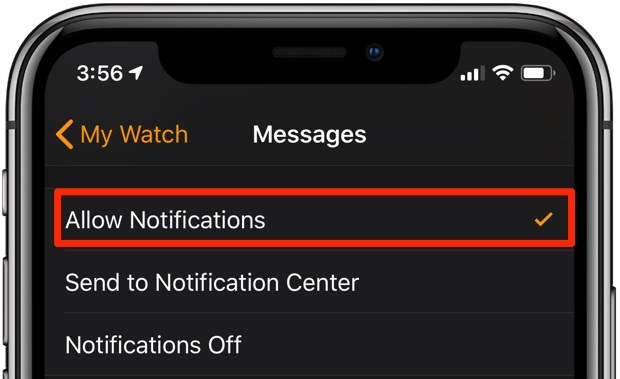 For stock apps, choosing this option enables Notifications Off in My Watch → Notifications → [App Name] in the Watch app without changing the app’s notifications settings on iPhone. 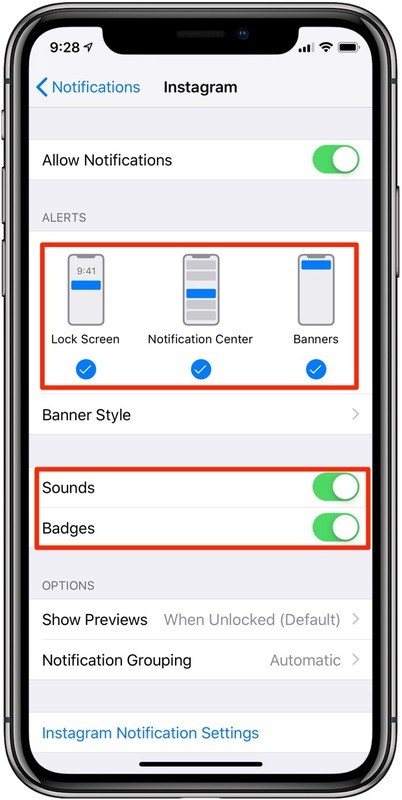 Keep in mind one thing: if an app is set for quiet notification delivery and you manually re-enable both Banners and Sounds in Settings → Notifications → [App Name] on iPhone, doing so will instantly turn off Quiet Delivery on both the phone and the watch. 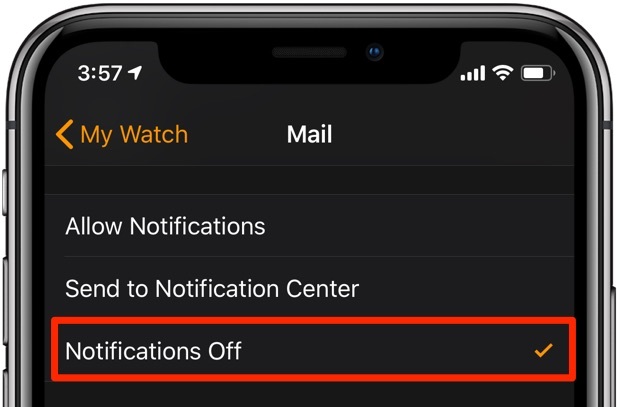 Lastly, sliding the switch Allow Notifications in Settings → Notifications → [App Name] on iPhone to the OFF position stops all alerts from that app on both the phone and the watch. And that’s how you triage notifications on your Apple Watch like a pro. Please pass this how-to along to your friends and support folks.